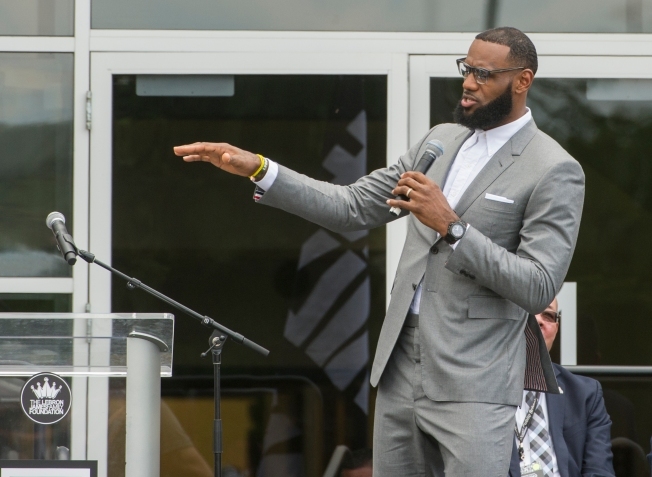 The Lakers' LeBron James will be among the executive producers of a three-part documentary series on the changing role of athletes, focusing on NBA players, scheduled to premiere on Showtime in October. "Shut Up and Dribble" chronicles the modern history of the NBA and its players, starting with the 1976 merger with the American Basketball Association. The NBA's popularity burgeoned after Earvin "Magic" Johnson and Larry Bird entered the league in 1979, leading players to become leaders in commerce and fashion and cultural icons and making statements in the current political climate. The series will be directed by Gotham Chopra, who directed the 2015 Showtime documentary "Kobe Bryant's Muse" and the Facebook Watch documentary series on New England Patriots quarterback Tom Brady, "Tom vs Time," released earlier this year. The executive producers also include Maverick Carter, James' business manager. "If being a star athlete is inherently a political experience, `Shut Up and Dribble," tells that complex and dramatic story from the past to the present and from the inside out," Showtime Networks Inc. President and CEO David Nevins said. "LeBron James is one of many competitors whose place in the spotlight has led not to silence but perspective, and he, Maverick Carter and Gotham Chopra have given us an important, insightful docuseries that should bring their fans and fellow citizens to a higher level of discourse, rather than the dismissal satirized in the title."